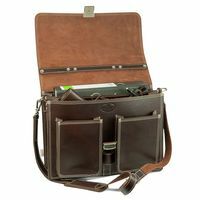 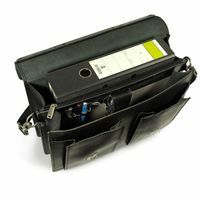 Thick, sturdy leather, two large inside compartments with space for a 15.6 inch laptop or a wide A4 folder, two front pockets and a flap with a robust, lockable spring lock. 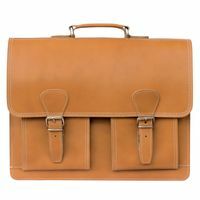 That’s how a perfect briefcase looks for teachers, student teachers, lecturers, students or for everyone who needs to carry many documents alongside to a laptop often e.g. 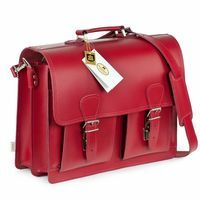 to university, school or the office. 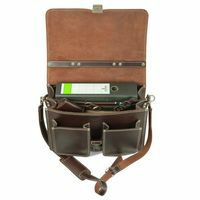 To be able to carry such a heavy leather bag as comfortably as possible, there is an additional adjustable shoulder strap alongside to the carry handle. 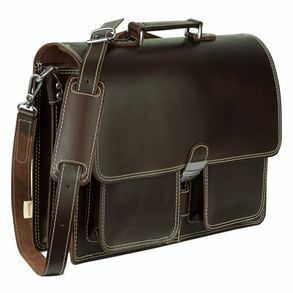 This bag also suits older youths perfectly as a robust shoulder bag. 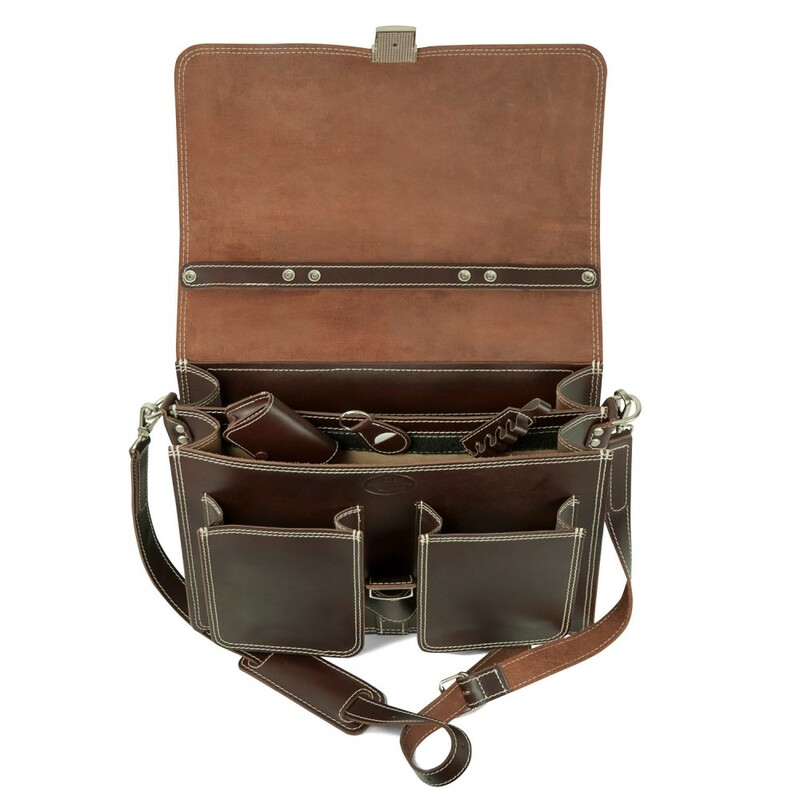 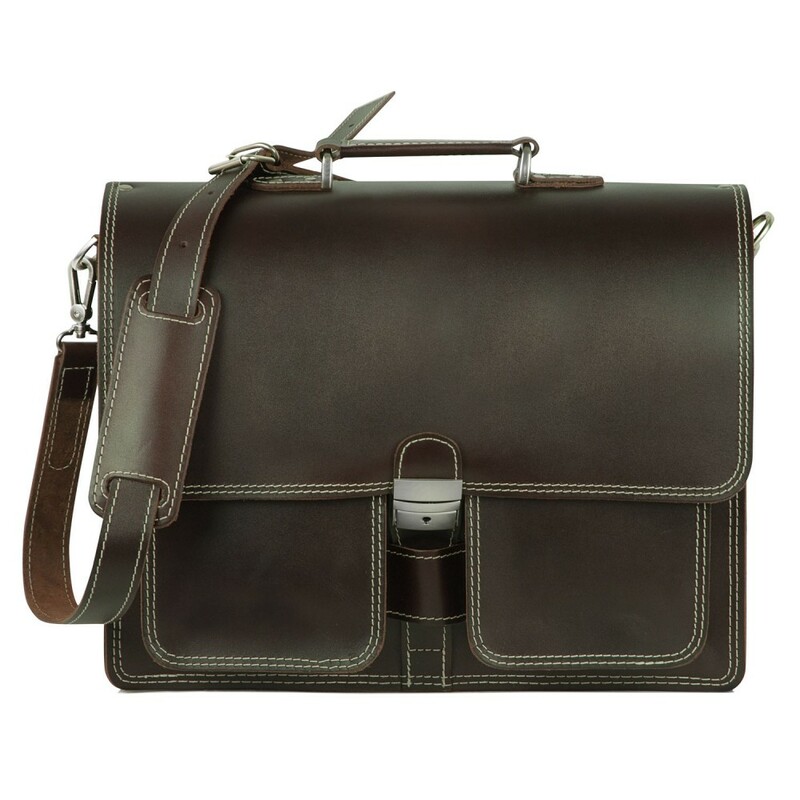 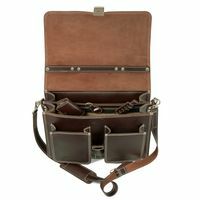 Equipped with a particularly robust, lockable metal lock, especially teachers like using this leather briefcase. And because teachers, student teachers, lecturers or also students usually need to carry a lot with them at university, the leather bag has got an additional shoulder strap alongside to the carry handle, which you can attach to the sides of the teachers bag with carabiner hooks, depending on your needs. 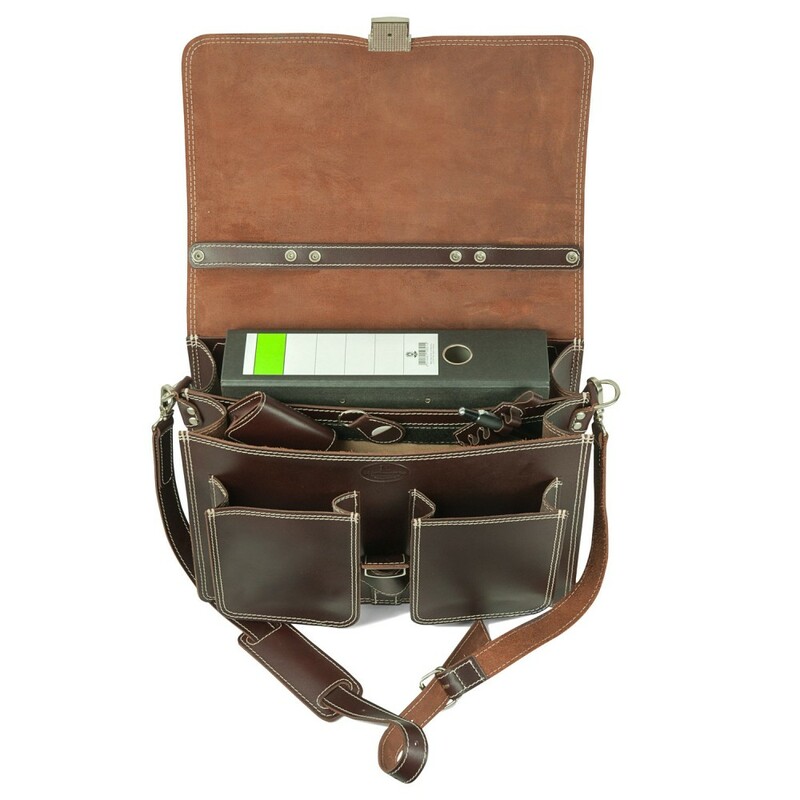 That way you can always carry the shoulder bag in a comfortable way, no matter how full or heavy the bag is at the moment. 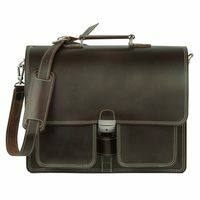 This robust briefcase with different versions of brown is decorated with contrasting stitching, the seams of the black model of the leather bag are kept in black.